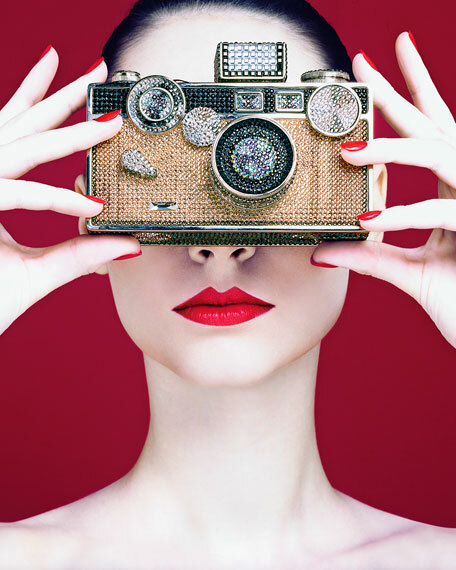 Judith Leiber helps to capture your special moment with a camera-shaped crystal minaudiere. 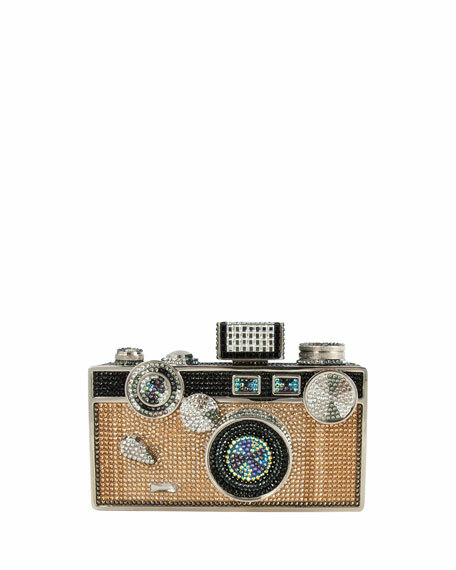 Judith Leiber clutch fully beaded in Austrian crystals. Silvertone hardware frames camera silhouette. Chain strap can be tucked inside; 8 1/2" drop. 6 1/2"H x 3 1/4"W x 2 3/4"D.
For in-store inquiries, use sku #277921.